Brad is originally from Riverside, California. He lived and studied in Oaxaca, Mexico and worked in Uruguay with the Peace Corps as an Environmental Planner and Educator. He also lived and worked in Thailand as an Educator. In Oregon, he has worked with low-income housing communities in Eugene/Springfield, a growth impact planning group in Hermiston, and the Alliance of Forest Workers & Harvesters based in Eugene. Brad studied Natural Resource Planning and Spanish at Humboldt State University and Community and Regional Planning (MCRP) at the University of Oregon. Brad is the proud father of one son. Brad nació en Riverside, California. Vivió y estudió en Oaxaca, México y trabajó en Uruguay para el Cuerpo de Paz como planificador y maestro del medio ambiente. También vivió y trabajó en Tailandia como Profesor. En Oregon ha trabajado organizando a los residentes de viviendas de bajos ingresos en Eugene/Springfield, coordinando un grupo en Hermiston para prever y mitigar los cambios del crecimiento urbano, y como Director de la Alianza de Trabajadores y Recolectores del Bosque, basado en Eugene. Completó sus estudios en el Manejo de los Recursos Naturales, el Español, y la Planificación Comunitaria y Regional. Es padre orgulloso de un hijo. Oscar was born in Monterrey, Nuevo Leon, Mexico. He moved with his parents at a young age to Los Angeles, California, where he grew up and attended Pius X High School and later earned a Bachelor of Science in Economics and Chicano Studies (1984) from Loyola Marymount University. Relocating to Houston, TX in 1988, Oscar began his career in social work as an Investigative Case Worker (Harris County Children's Protective Services) and then as an Emergency Room Social Worker at Ben Taub General Hospital, (1990-1995). Oscar attended the Graduate School of Social Work at University of Houston focusing on Mental Health and School Social Work (1994-96), which facilitated his transition from (school-based) Clinical Social Work at Jane Long Middle School (Memorial Healthcare Systems) to becoming the founding Director of Student & Family Support Services (1998-2005) for the nationally renowned and critically acclaimed KIPP Academy. Oscar later served “KIPP Houston’” (1st Charter School District in nation) as Parent and Community Advocate, 2007-2009. From 2005-07, Oscar served as Guidance Counselor, Teacher, and Coach at Strake Jesuit College Preparatory (Houston). In 2009, Oscar joined the world of Higher Education as an Academic Advisor, initially at Houston and Lone Star Community College Systems (TX), and most recently at Chemeketa and Lane Community Colleges, in OR (2011-2014). Prior to relocating to Central OR and becoming the Empowerment Programs Manager of the Latino Community Association (L.C.A.) in Dec. 2015, Oscar was the Title X: McKinney-Vento Homeless Youth & Families and Youth Gang Prevention Program Coordinator(s) for the Lane Education Service District (Lane ESD). Oscar is a resident of City of Redmond and remains extremely proud of his three grown daughters- Monica Inez, Jessica Nicole, and Sonia Marie who currently work professionally and/or reside in New York City, Houston, and Chicago. Oscar nació en Monterrey, Nuevo Leon, México. Se mudó con sus padres a California cuando era niño y creció en la ciudad de Cudahy (Los Angeles). Asistió la Universidad de Loyola Marymount, en donde recibió la Licenciatura en Economía en 1984. Se mudó a Houston, Texas en 1988 donde empezó su carrera de trabajo social como asistente de investigación social con Harris County Children’s Protective Services y luego como trabajador social en la sala de emergencia. En 1994-1996, asistió a la escuela de posgrado en la Universidad de Houston, enfocándose en salud mental y el trabajo social escolar. Después, cambió al trabajo basado en las escuelas, sirviendo como el primer director de servicios de apoyo para estudiantes y familias del renombrado KIPP Academy en 1998-2005. Desde 2009, Oscar ha trabajado en la enseñanza superior como consejero académico, incluyendo los sistemas de colegio comunitario Lone Star y Houston, y de Chemeketa y Lane en Oregón. Antes de mudarse a Oregón central, él coordinó el programa Title X: McKinney-Vento para jóvenes y familias sin hogar y prevención de pandillas en el Lane Education Service District en Eugene. Oscar está bien orgulloso de sus tres hijas: Monica Inez de Nueva York, Jessica Nicole de Houston y Sonia Marie de Chicago. Ana was born and raised in Ensenada, Baja California, Mexico. She attended the Autonomous University of Baja California in 1998 where she obtained her degree as a licensed Public Accountant. For 5 years she worked for two companies preparing their accounting records such as tax payments, bank reconciliation, payroll, survey and inventory. In 2001, she decided to move to the United States with her husband and son Bryan. Ana currently lives in Madras, Oregon with her whole family including her youngest daughter who was born in Madras. Ana nació y creció en Ensenada, Baja California, México. Asistió a la Universidad Autónoma de Baja California donde obtuvo su licenciatura en contaduría pública. Por 5 años trabajó para dos compañías, preparando sus récores contables tales como, presentación de impuestos, nóminas de sueldos, y el control de inventarios. En el 2001 decide mudarse a los estados unidos con su esposo Reyes e hijo Bryan. Actualmente vive en Madras, Oregón con toda su familia y su hija Anastasia quien nació en Madras. Milagros was born in Michoacán, Mexico. Milagros has been in the Customer Service field for over 15 years. In 1993, she moved to Los Angeles, CA and attended Jefferson High (Adult School) were she got her GED and High School Diploma. Milagros moved to Bend, OR in 2001 and has worked as Cashier, Sales Associate, Banker and Front Desk Manager. She also has been a volunteer in different organizations including Latino Community Association. Milagros is Married to Javier Ramirez and has three kids: Allan, Estrella and Yvonne. Milagros nació en Michoacán, Mexico donde estudió de Pre-escolar hasta el Bachillerato. Milagros ha estado en el area del servicio al cliente por mas de 15 años. En 1993, se movió a Los Angeles, CA donde asistió a la escuela Jefferson High School y recibió su GED y Certificado de preparatoria. Milagros se mudó a Bend, OR en 2001 y ha trabajado de Cajera, Asociada en Ventas, Banquera y Supervisora de Oficina. Milagros está casada con Javier Ramirez y tiene tres hijos: Allan, Estrella e Yvonne. Hello! My name is Hilda. I was born and raised in Guadalajara, Jalisco, Mexico. We moved to California where I graduated from High School at which point my mother decided to go back to Guadalajara. As soon as I arrived to Guadalajara, I went to school (I love to study) and graduated as a Bilingual Executive Secretary. I worked for the city hall and the political party called PRI. In 2000, I moved to Oregon and I really enjoy the outdoors and photography. I am proud of my culture and it is important to me that my children and granddaughter know our culture, food, and language. I only cook Mexican food and only speak Spanish to my granddaughter. I am married and I have four amazing children and a beautiful granddaughter who is the apple of my eye. Hola! Mi nombre es Hilda. Nací y crecí en Guadalajara Jalisco, México. Luego nos mudamos a California donde me gradué de la preparatoria. Mi madre decidió regresar a Guadalajara, pero tan pronto llegué a Guadalajara, empecé a estudiar (me encanta estudiar) me gradué de Secretaria Executiva Bilingüe e inmediatamente trabajé para el ayuntamiento de la ciudad y para el partido político PRI. Me mudé a Oregon en el 2000. Me encanta disfrutar de las actividades al aire libre y la fotografía. Estoy orgullosa de mis raíces y me gusta inculcarles a mis hijos y nieta nuestra cultura, lenguaje y comida. Solo cocino comida Mexicana. Estoy casada y tengo cuatro maravillosos hijos y una nieta que es la niña de mis ojos. Ofelia was born in Corning, California and raised in Lake Chelan, Washington. She graduated high school and moved to Metolius, Oregon where she has resided since. She took an interest in health and went to COCC in Bend to study medical assisting. Ofelia trained for early childhood education which provided her opportunities to work with preschool children and their families. She continues to attend trainings in early childhood development in her spare time. Ofelia has five beautiful children and a grandson who are her life. Ofelia nació en Corning, California y creció en Lake Chelan, Washington. Después de graduarse de la secundaria se mudó para Metolius, Oregón donde ha vivido desde ese entonces. Tenía interés en la salud y fue a COCC en Bend para estudiar ser asistente médica. También asistía entrenamientos en la educación temprana y en sus tiempos libres continua con esos entrenamientos y cursos. Tengo 5 hermosos hijos y un nieto que son mi vida. Carolina lives in Redmond. She was born in Guadalajara, Jalisco, México. She is married and has four beautiful daughters and one son. She moved from Washington to live in Central Oregon about ten years ago. Since that time, she has worked for many years in different roles with the Latino Community Association. She began as our first Volunteer Coordinator and then became our Client Services Coordinator in Bend and later in Redmond. Today, as our Soy Sano/I’m Healthy Outreach Specialist, she makes sure that every uninsured youth 0-18 years old accesses health care by referring them Mosaic Medical’s school-based health clinics. Carolina works from time to time as an interpreter with the High Desert Education Services District. And she is very involved in her church. Carolina es de Guadalajara, Jalisco, México. Está casada y tiene cuatro hermosas hijas y un hijo. Vino del estado de Washington a vivir en Oregón Central hace unos diez años. Desde entonces ha trabajado muchos año como integrante de la Asociación de la Comunidad Latina, primero como Coordinadora de los Voluntarios, luego Coordinadora del Servicio al Cliente en Bend y después en Redmond. Ultimamente, como Promotora del programa Soy Sano, asegura que los jóvenes de 0-18 años sin cobertura médica consigan atención médica por medio de referencias a la Clínica Mosaic Medical. Trabaja de vez en cuando de intérprete con High Desert Education Service District. Y está muy activa en su iglesia. Mary was born in Bethel, Alaska and moved to Redmond, Oregon in High School with her family. She studied Social Science and Spanish at Western Oregon University and graduated with her master’s degree in International Studies from Chapman University in Orange County, California. She spent time working with youth programs on US military bases in Japan, Germany, and Key West, FL. While in grad school, her research focused on issues of immigration to the United States and she conducted research on migration patterns in Mexico and Costa Rica. She volunteered in Tijuana, Mexico at Casa del Migrante, a shelter for people who had been deported from the United States and for refugees fleeing violence and persecution. In her free time, Mary enjoys spending time with her family and exploring Central Oregon’s vast outdoors. Mary nació en Bethel, Alaska y se mudó a Redmond, Oregón al cursar la preparatoria con su familia. Estudió ciencias sociales y español en la Universidad de Western Oregón y se graduó con su maestría de estudios internacionales de la Universidad de Chapman en Orange County, California. Pasó tiempo trabajando con los programas juveniles en las bases militares de los EEUU en Japón, Alemania, y Key West, Florida. Mientras cursaba su posgrado, investigó temas de inmigración de EEUU y condujo investigaciones de los patrones de migrantes en México y Costa Rica. Se ofreció como voluntaria en Casa del Migrante en Tijuana, México, un albergue para las personas que han sido deportadas y para los refugiados que han escapado violencia y persecución en su país. En su tiempo libre, Mary le gusta pasar tiempo con su familia y explorar áreas naturales de Oregón Central. Beatriz is originally from Toluca, México and she has been in the USA since 1988. She resided in Whittier, CA for 20 years before moving to Bend in 2008 with her husband and her 3 sons to give them a better quality of life. She has been working in the food industry for almost 30 years being in direct contact with the community and decided it was time for a change of career immediately after she got her immigration status resolved. Over the years she has always tried to be helpful to immigrant Latino families and is excited to be able to continue with her mission of helping out her community in the best possible way. She feels very proud of her heritage and culture and that’s the reason why she wanted to join the Latino Community Association, especially in these challenging times. Hola familias, mi nombre es Beatriz Escobedo, soy originaria de Toluca, Estado de Mexico. He vivido en los Estados Unidos desde hace ya 30 años, 20 de los cuales viví en Whittier, Ca., y en el año 2008, decidí mudarme con mi esposo y mis 3 hijos para Oregón. Desde que llegué a este país comenzé a trabajar en la industria de restaurantes, siempre con el objetivo de estar brindando mis servicios para la comunidad. Hace poco tuve la oportunidad de poder llegar a realizar el sueño de toda persona que emigra de su país de origen, y es mi más profundo anhelo poder ayudar a toda nuestra comunidad Latina. Estoy encargada de ayudar a todas las personas con sus seguros médicos del OHP. Estaré en varias localidades ofreciendo mis servicios. Por favor aprovechemos la oportunidad de tener este servicio al alcanze de nuestra comunidad, especialmente el tesoro mas grande que tenemos que son nuestros niños. Acérquense a nuestros servicios! Sintémonos orgullosos de nuestra cultura y nuestra herencia Hispana! Jeanett Leal was born in Veracruz, México, and came to Madras with her parents when she was two years old. She has three younger brothers. She graduated from Culver High School and worked at Children’s Learning Center in Madras as a Teacher’s Aide. For the past 10 years, she has worked in customer service at Walmart in Redmond. In February 2018, Jeanett came to work for LCA as client services coordinator in Prineville. She brings her bilingual ability and experience serving customers to a role where she can help rural Latinos connect with essential services. “I want to help the community I grew up with”. Jeanett has two children, ages 10 and 13. The family lives on her parents’ place in the country near Culver. Earlier this year, she became a U.S. citizen. Jeanett Leal nació en Veracruz, México, y se vino a vivir en Madras con sus padres cuando tenía dos años. Tiene tres hermanos menores. Graduó de Culver High School y trabajó en el Children’s Learning Center en Madras como ayudante de maestro. Por los últimos 10 años, ha trabajabo en el servicio al cliente en Walmart de Redmond. En febrero de 2018, Jeanett empezó a trabajar con la Comunidad Latina como coordinadora de servicios al cliente en Prineville. Ella, con su habilidad bilingüe y experiencia sirviendo a clientes, desempeña a un papel en donde puede ayudar a latinos del campo a conectar con servicios esenciales. “Quiero ayudar a la comunidad en donde crecí”. Jeanett tiene dos hijos de edad 10 y 13. La familia vive en la casa rural de sus padres cerca de Culver. A principios de este año, ella se hizo ciudadana de los Estados Unidos. Cynthia Steward Jurgensen is a native Oregonian, raised in Portland, who lived in the greater Seattle area for 20 years before returning to Oregon in 1999. She has called Powell Butte her home now for 20 years, where she resides on five acres with her husband, two cats and dog. Her two sons, daughter-in-law and three grandchildren reside in the greater Seattle area. In her childhood, Cynthia joined Camp Fire and learned to live the motto Wo-He-Lo (work, health, love). To this day, Cynthia enjoys connecting and helping others. Her professional career includes the food and beverage industry, ski industry, and retail and ready-to-wear clothing business at Nordstrom for 17 years. 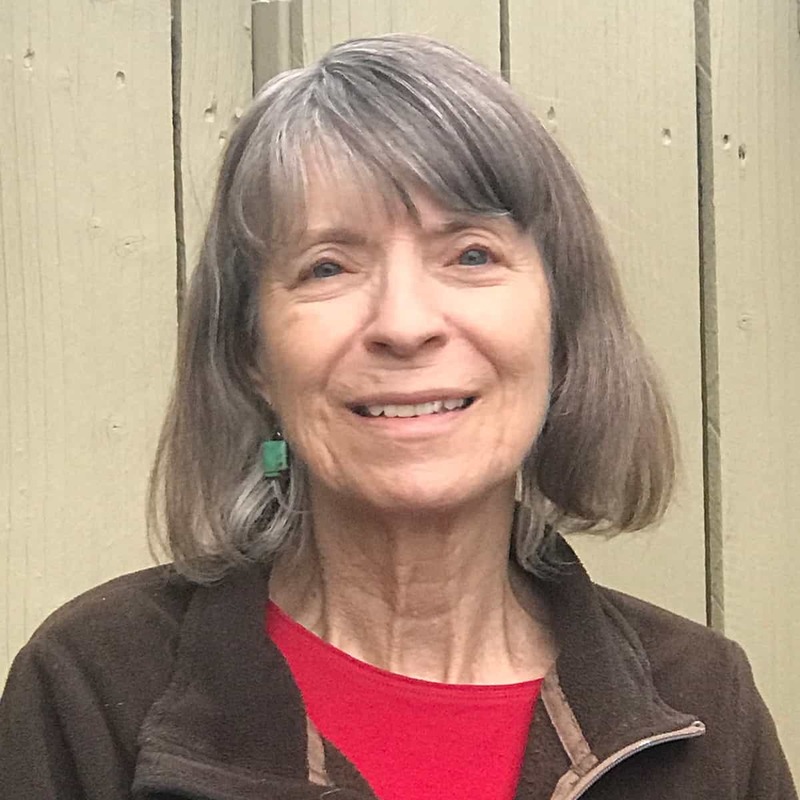 Since her move to Central Oregon, Cynthia has worked with the nonprofit sector, specifically in fundraising, resource development and grant writing. Cynthia is a graduate of Linfield College in 2005 (DCE program) with a Bachelor of Science (Social & Behavioral). In her spare time, Cynthia, a Usui Reiki Master Professional, enjoys teaching Reiki, a Japanese method of hands-on healing. Her other hobbies and passions include: kitchen alchemy (creating recipes for consumption, along with natural lotions and potions); reading, biking, hiking in the desert and gardening. Cynthia Steward Jurgensen es originaria de Oregón, criada en Portland, quien vivió en Seattle por 20 años antes de regresar a Oregón en 1999. Ha llamado Powell Butte como su hogar por 20 años, en donde vive en un terreno de cinco acres con su esposo, dos gatos y un perro. Sus dos hijos, nuera y tres nietos viven en el área de Seattle. En su niñez, Cynthia unió al programa de Camp Fire donde aprendió de vivir del lema Wo-He-Lo (trabajo, salud y amor, por sus siglas en inglés). Hasta ahora, a ella le gusta ayudar y conectarse con otras personas. Su carrera profesional incluye la industria de la comida y la bebida, la del esquí, y también de ropa con la compañía Nordstrom, en donde trabajó por 17 años. Desde su mudanza al Centro de Oregón, Cynthia ha trabajado en el sector no lucrativo, especialmente para la recaudación de fondos, desarrollar de recursos para los mismos y escribir las solicitudes para fondos para adquirirlos. Cynthia se graduó de Colegio Linfield en 2005 (de un programa de educación a distancia) con una licenciatura en ciencias (social y de comportamiento). En su tiempo libre, Cynthia enseña Reike, un modo japonés de sanación con las manos. Sus otras pasiones y pasatiempos favoritos incluyen la alquimia de la cocina (creando recetas para consumo personal, y pociones y lociones, todos naturales). También, disfruta de la lectura, andar en bicicleta, caminar en el desierto y jardinería. Denise Holley grew up in Tacoma and Seattle, Washington, and has lived in New York, San Francisco, Sonoma County, California, central and eastern Washington and southern Arizona. She began learning Spanish as a VISTA volunteer in 1967 and earned her degree in journalism at Washington State University in 2000. Over a 25-year career, she has written for both newspapers and nonprofit organizations and collected 10 awards for news reporting. Her last reporting job was with the Nogales International on the Arizona-Mexico border. In 2017, she published a book titled, “Why the Undocumented Belong to America.” Denise is an advocate for human rights. In Tucson, she volunteered with a migrant aid organization and a food bank, and lived on a small ranch with her boyfriend, two horses, dog and cat. In May 2018, she returned to the Northwest to live in Redmond with her daughter and grandchildren. As communications assistant, she strives to tell the story of the Latino Community Association and its work to the community and the world. Denise Holley creció en Tacoma y Seattle, Washington, y ha vivido en Nueva York, San Francisco, el condado de Sonoma, California, el centro y este de Washington, y el sur de Arizona. Ella empezó a estudiar el español como voluntaria de VISTA en 1967 y ganó su título en periodismo en Washington State University en 2000. En su carrera de 25 años, ella escribió para periódicos y organizaciones no-lucrativas y recibió 10 premios para su labor periodística. Su último trabajo de reportera era con el Nogales International en la frontera entre Arizona y México. En 2017, publicó un libro titulado “Why the Undocumented Belong to America” (Porque los Indocumentados Pertenecen a América). Denise es defensora para los derechos humanos. En Tucson, trabajó como voluntaria con una organización que ayudó a los migrantes y para un banco de comida, y vivió en un rancho chiquito con su novio, dos caballos, perro y gato. En mayo de 2018, regresó al Noroeste para vivir con su hija y los nietos en Redmond. Como ayudante de comunicaciones en LCA, ella comunica la historia de la Asociación y su obra comunitaria a la comunidad y al mundo.